Most every patient has heard the term “root canal”, but without a dental degree or commitment to watching YouTube videos, few patients could effectively describe what a root canal is. Honestly, it wasn’t until mid-way through second year of dental school that a root canal was thoroughly discussed to the point that I could say “Ooooh, I get it.” So there should be no shame in asking the dentist “What does that mean?” when he or she recommends that a tooth needs a root canal. (To be fair, there should never be any embarrassment when asking one of the dentists to explain a procedure in detail, we all love to educate.) So, let’s discuss some of the major points of root canal treatment (RCT). First, WHAT is a root canal? In simplest terms, a root canal is the procedure that removes the nerve and blood supply, otherwise called THE PULP, from inside the tooth. All healthy teeth have a blood and nerve supply that enters from the root portion inside the bone, and provides the tooth vital function such as immune response to fight infection, and sensitivity to perceive stimulus. The root canal procedure uses fine reamer-like instruments that remove this tissue from inside the tooth, which is then followed by medicine to sterilize the nerve chambers. As it was told to me in dental school, “it’s like taking the lead out of a pencil.” Once the nerve and blood supply has been removed, the nerve chamber is plugged with a biocompatible material called gutta-percha, and the tooth is considered ready for next phase of treatment. When treating back-teeth, the treatment typically concludes with crown placement (this is a separate procedure and requires a blog post all on its own.) Front teeth can sometimes be restored after RCT with a simple filling, but if too much natural tooth structure is missing or esthetics are a concern, it may be recommended to complete treatment with crown placement as well. The tooth needs something more permanent than a filling to restore it back to function (such as a crown), and therefore requires more work (i.e. RCT) to save the tooth. Scenario 1 has a vast range of causes. Teeth may become infected with bacteria due to neglect, fractured tooth structure, leaking restorations, gum related issues, or a combination of any of these. This is only a short list of potential sources of tooth infection, and the pain associated with an infection can manifest in a variety of ways. Typically, these teeth are symptomatic before any physical indicators arise, such as swelling or pus drainage. Symptoms may include pain on biting, cold sensitivity that lingers for more than 10 seconds, or spontaneous throbbing pain that can wake you up during the night. Regular dental checkups (every 6-12 months), with radiographs (every 12-24 months) will minimize the risk of a tooth infection progressing past the point of saving the tooth. If tooth decay has reached the point of encroaching on the nerve chamber, it is likely a RCT will be recommended. Scenario 2 is certainly the trickier situation for the patient to fully understand. Many times, teeth need more than a simple filling placement to restore them back to “clinical health”, and the dentist will recommend something more substantial, such as a crown placement. If a tooth is broken down beyond the point of repair with just a crown, it may be recommended that the tooth have a “post and core” placed before the crown is completed. A post and core procedure helps rebuild the center of a tooth, replacing missing structure that has been removed over the years with subsequent filling placements. A post helps support the core material that is replacing the missing tooth structure, much like how rebar helps support concrete. The post is a small rod that is cemented INSIDE the pulp chamber of the tooth, which requires the tooth be sterilized prior to its placement. This is where the root canal comes in. The tooth is cleaned and de-nerved (root canal treatment) so that the post can be cemented, which will then act to help support the core material, which will in turn help hold our crown in place. It’s important to remember, root canal treatment SHOULD BE PAINLESS. The pain associated with a root canal is usually from the infection BEFORE THE PATIENT CAME INTO THE OFFICE. During the procedure, the tooth will be anesthetized with local anesthesia, the same as it would if it were have a filling placed. There may or may not be some post-operative sensitivity, but these symptoms typically resolve within a few days of treatment. Although this may seem like a lot of work to save an infected or broken tooth, the alternative treatment is often tooth extraction, which harbors its own risks and complications. If the RCT process is still unclear, no need to worry. This concept can take a few different explanations to fully understand, and typically models and diagrams will help clarify. Next time you’re in the office, please ask and a dentist will gladly explain! Dental Crowns: Are they really necessary? As a dentist, I am asked this question frequently. This happens both in the office as well as on my days off at the grocery store, a party, or a family gathering. People who have not had much experience with crowns are often confused as to what a crown is as well as whether or not it is really necessary. A dental crown is a cap that covers your entire tooth, fabricated outside of your mouth and cemented or bonded onto the tooth. The tooth must first be prepared for the crown, basically, removing 1-2 mm in all dimensions to make room for the thickness of the crown material. That way, once the crown has been cemented, it restores the tooth to its original size, shape, and function. Crowns can be made from metal, a ceramic material, or combination (porcelain fused to metal). Here at Innovate dental, in 90% of cases, we use e.max crowns, which are made from an all-ceramic material called Lithium Disilicate. There are several reasons a crown can be necessary in your mouth. One of the major reasons we see on a daily basis are large silver (Amalgam) fillings that are failing, or fractures in your tooth. For better or worse, these types of fillings are very hard. Natural teeth have some elasticity and flexure when you bite down. Unfortunately, Amalgam fillings do not flex with your teeth. In addition, these fillings are often positioned between the cusps (pointed parts of your teeth), and when you bite down, the filling acts like a wedge that drives these cusps apart. As a result, fracture lines are often visible in the tooth. If left untreated, this will eventually result in one or several of these cusps fracturing off. Depending on the nature of the fracture, the tooth could need a root canal (in addition to a crown) or even an extraction. By preventively covering this same tooth with a crown, the tooth is held together from all dimensions which allows the forces on the tooth to be directed down the root to dissipate normally. Another reason we may suggest a crown is extensive tooth decay. Composite fillings (also known as white, or tooth colored fillings), are a great way of removing decay and restoring teeth in most cases. However, when a cavity becomes too large, restoring the tooth with a filling alone leaves the tooth vulnerable to fracture. As a general rule, if the restoration requires replacing a cusp (or multiple cusps), or if the cavity preparation occupies more than half of the distance between the cusps of the tooth, a crown is indicated. A final reason for a crown is if a tooth has had a root canal. Root canals are procedures that involve removing the nerve from the root of the tooth. During this process, along with the nerve, the blood supply is also removed from the root of the tooth and this space is replaced with an inert filling material called Gutta Percha. When the blood supply is taken from the tooth, the tooth dries out over time and becomes brittle. This, combined with the fact that the tooth is now essentially hollow, increases the risk of tooth fracture. A crown is fabricated in order to prevent fracture of this weakened tooth. To conclude, dental crowns are the treatment of choice in many clinical situations. If you have any questions about crowns or any dental treatment, please feel free to ask your dentist. At Innovate Dental, we strive to educate our patients and allow them to make informed decisions about recommended dental treatment. Want whiter teeth to go perfectly with your summer tan? Now is the time! Phillips Zoom! In Office Whitening is a revolutionary tooth whitening system that can erase years from your looks in a single visit. Zoom! is the #1 patient-requested professional whitening treatment, capable of safely brightening your teeth by up to eight shades. This whitening system is amazing in convenience and causes minimal to no tooth sensitivity following the treatment. The LED whitening lamp accelerates your whitening results, leaving you in love with your new, white smile the moment you leave our office! The incredible Zoom! results are featured on television shows such as Extreme Makeover! With millions of testimonials by pleased patients, you can’t go wrong when choosing this whitening system! Curious if Zoom is right for you? Give us a call to find out. For a limited time, you can even save 53% to get the bright smile you’ve always wanted! That means Zoom is only *$250* with a $530 value!! WOW!! This amazing deal is extended to our existing patients as well as any new patients! Every patient deserves that “wow” moment while loving how they look! Let us give you yours! Call one of our three convenient locations and schedule your appointment today! On July 3rd, 1806, two years into their journey to chart the uncharted west of America, pioneer explorers Meriwether Lewis and William Clark reached a challenge of epic proportion – the Rocky Mountains. What next, they wondered? Without a map, they were forced to do what explorers do – explore, and hope for the best. So, that got us thinking. Wouldn’t it be nice to have a handy map you could use to chart your own dental health? With that in mind, and in honor of our “Dog Days of Summer” explorers, we wanted to share with you a few mile markers you can use to stay on top of your child’s health today, next year, and for years to come! Schedule a visit: As soon as that first tooth comes in, you’ll want to give us a call to schedule a visit and set up a periodic exam schedule. Also, be aware the ADA recommends fluoridated toothpaste now for all children under the age of three. Don’t wait! Craniofacial injury prevention: With your children’s possible participation in sports, you’ll want to get them a mouthguard. Hands down it’ll be one of your best investments in a healthy mouth. And we make great ones! Is your drink destroying your teeth? Did you know that acidic foods and drinks can damage tooth enamel and promote tooth decay? In recent years, the public has become more concerned with the sugar content of soda and other beverages. Several studies suggest that artificial sweeteners pose health risks also. As people move away from sugar and artificial sweeteners they are left looking for something to drink besides “just plain water”. Enter the soft-drink industry’s new flavor sensation: sour drinks. They come in bottles and cans, or as envelopes or droplets to add to your bottled water. Some contain less sugar than soda, some are made palatable by artificial sweeteners, but all contain acid. The acid gives them that appealing tart flavor. Another alternative to sweet drinks is seltzer, which is made enjoyable by those little bubbles and the trace of flavor added. Carbonation does create a problem, though: it makes the seltzer acidic. So, how much acid is too much? Well, the acidity of a solution (your beverage) is measured in terms of pH. The pH scale measures acidity, with a pH of 7 being neutral (no acidity) and acidity increasing as the pH number gets smaller. Tooth enamel becomes damaged at a pH of 5.5 or lower. To put this in real- world terms, we tested several popular drinks to find their pH and thus their potential to damage your teeth by acid attack. Please note the results do not reflect on the potential for damage to teeth caused by sugar content. Sugar damages our teeth by feeding plaque bacteria, which in turn produce acid that breaks down tooth enamel. Our saliva neutralizes this acid, but it takes 20 minutes to do so. Each sip of a sugared drink results in a 20 minute acid bath for our teeth! We were unable to find any information on how long it takes to return the mouth to a neutral pH after introducing an acidic beverage. This merits some study, as these drinks are contributing to tooth decay for many people. The worst offender in our test was Snapple Classic Lemonade, at a pH of 2.49 which is strongly acidic. The least acidic of the bunch was Polar Cranberry-Lime Seltzer with a pH of 4.58, which is still strong enough to damage tooth enamel. That sour or fizzy drink may appeal to your tastes, but is it worth the damage to your teeth? Consider drinking plain water. It takes some getting used to, but once you are accustomed you will feel refreshed and revived by the original thirst quencher. Your teeth will thank you for making the change! Treat yourself to a whiter, brighter smile! A pearly-white smile is beautiful to look at and can greatly improve self-confidence. Many people are choosing the Zoom!® Whitening System for fast, safe and effective teeth whitening. Zoom!® combines the newest developments in dental whitening technology with advanced chemical formulas. This ensures that the bleaching experience is painless, and the results are more than satisfying. There are many reasons why teeth become stained or discolored, including tobacco use, and drinking dark liquids such as red wine, coffee, tea and cola. However, the natural aging process and prescription medication use can also cause yellowing and graying. Teeth whitening (or bleaching) is a simple, non-invasive dental treatment used to change the color of natural tooth enamel and is an ideal way to enhance the beauty of your smile. Because having whiter teeth has now become the number one aesthetic concern of most patients, there are literally hundreds of whitening treatments available in the marketplace, including take-home strips, bleaching toothpastes and take-home whitening gels. Many take-home gels are ineffective, can cause severe sensitivity, short-term results and may not elicit the desired results. Zoom!® treatment is effective for approximately 12-18 months, leaving you with a bright, white smile that will last. Give us a call today to set up your Zoom!® whitening appointment! Oral Cancer takes the life of one person every hour. Here at Leicester and Boylston Dental, we take your health very seriously and we strive to provide you with the best care possible. In order to do that, education about prominent issues in the Dental world is needed, and Oral Cancer is an issue that affects people daily. It is as common as leukemia and kills more Americans each year than either skin or cervical cancer. Patients with oral cancer have a poor prognosis, and the 5-year survival rate of approximately 52% has remained unchanged for the past 50 years. Perhaps the single most important reason for this is the fact that oral cancers continue to be diagnosed in advanced stages. Research studies have repeatedly demonstrated that the survival rate for oral cancer patients increases dramatically when the diagnosis is established in early stages. A regular checkup at a hygiene appointment is a good time for your dentist and hygienist to check your entire mouth for signs of oral cancer. Regular appointments can detect the early stages of oral cancer or conditions that may lead to oral cancer. By detecting oral cancer in an early stage, survival rate increases 80%-90%, but unfortunately only about 35% of oral cancer is detected in early stages. To early detect oral cancer, continue on a routine dental visitation schedule. Other symptoms of oral cancer include: loose teeth; difficulty or pain when swallowing or chewing; difficulty wearing dentures; bad breath; sensory loss of the face; difficulty opening the jaw; a lump in the neck or an earache. These symptoms may be caused by other, less serious problems, but they also indicate the possible presence of oral cancer. You are at a higher risk for oral cancer if you use tobacco, drink excessive amounts of alcohol, are exposed to the sun at a higher than normal amount, and have a history of head or neck cancer. The extent of treatment for oral cancer depends on a number of factors. Among them are the location, size, type and extent of the tumor and stage of the disease. Your doctor also considers your age and general health. Treatment may involve surgery, radiation therapy or a combination. You also may receive chemotherapy, or treatment with anticancer drugs. But the course of action to remove the cancer is ideally a multidisciplinary approach involved the efforts of many different specialists and doctors. Do not hesitate to contact our office if any of the above information sounds all too familiar. Let us know about your concern and we will schedule an appointment for you as soon as possible. We hope that you have gained a bit of knowledge by reading through this letter. It is extremely important that you prevent this from happening to you, so please call our office at 508-892-4882 (Leicester) or 508-869-6388 (Boylston) to make an appointment with the hygiene department and have your Oral Cancer Screening completed. The American Academy of Pediatric Dentistry recommends your child’s first dental visit is by his/her first birthday. Though this may sound early, we can teach you proper pediatric oral hygiene techniques, ways to check for cavities, and how watch for developmental problems. Your child’s first visit with our office is essentially an introduction to acquaint your child with their new dentist and our practice. Usually this first interaction includes the introduction of the child to Dr. Michelle Wilkerson (our pediatric dentist), her dental assistant and the instruments used to clean your child’s teeth. They will “take a ride” in our “elevator chair” while Dr. Wilkerson does a gentle, thorough examination, preforms a teeth cleaning, oral cancer screening, takes x-rays (if necessary) and concludes with a fluoride treatment. During this time, Dr. Wilkerson will also go over the proper brushing techniques and home care. Patience and calm on the part of the parent and reassuring communication with your child are very important during the first visits to the dentist. Short, successive visits are meant to build the child’s trust in the dentist and the dental office, and can prove invaluable if your child needs to be treated later for any dental problem. Most of all, we want to make sure your child has positive experiences at our office and will be a regular visitor for years to come. Your child won’t keep his or her first set of teeth forever, but that doesn’t mean those tiny pearly whites don’t need conscientious care. Maintaining your child’s dental health now will provide health benefits well into adulthood, as primary (baby) teeth serve some extremely important functions. What’s more, your child’s primary teeth will be there for most of childhood, helping your child to bite, chew and speak. For the first six or so years, he or she will be relying on primary teeth exclusively to perform these important functions. Until around age 12, your child will have a mix of primary and permanent teeth. You will want to make sure those teeth stay healthy and are lost naturally — when it’s time. Please give the office a call today to schedule your child’s first dental visit. We look forward to meeting you and your family! X-Rays.. Safer than they’ve ever been! Dental professionals today are increasingly using digital dental radiographs (digital X-rays) to better detect, diagnose, treat, and monitor oral conditions and diseases. Digital radiographs are viewed instantly on a selected computer screen, manipulated to enhance contrast and detail, and transmitted electronically to specialists (if needed) without quality loss. 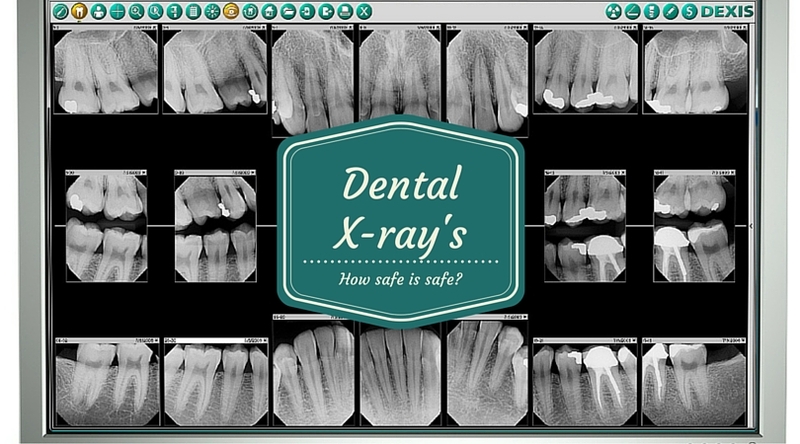 One of the biggest advantages of digital x-rays is early detection of dental concerns. Digital radiographs reveal small hidden areas of decay between teeth or below existing restorations (fillings), bone infections, gum (periodontal) disease, abscesses or cysts, developmental abnormalities and tumors that cannot be detected with only a visual dental examination. All of these findings can be detected and treated promptly with use of x-rays, in turn saving the patient time, money and discomfort. There has been controversy and misunderstanding about the level of radiation that patients are exposed to in order to make these images. Cone beam digital images may be made in various sizes with the larger size images requiring more radiation than the smaller images. Digital dental radiographs require very minimal radiation. 1,400 dental radiographs (These are the small dental radiographs with which you are familiar. Cone beam requires several times more radiation, but it is still very small). Dental x-rays, in fact, are one of the lowest radiation dose studies performed. At your dental hygiene appointment, once a year the hygienist updates 4 bite wing x-rays, showing in between the teeth. These 4 radiographs are about 0.005 mSv (radiation released), which is less than one day of natural background radiation. It is also about the same amount of radiation exposure from a short airplane flight (1-2 hours). Try not to worry so much about the radiation. Trust your dental practitioner to weigh the advantages and disadvantages of providing a radiograph for you. One of the first things people will notice about you is your smile. We are here to help you achieve the best first impression you can give to others. Healthy teeth affect nearly every aspect of our lives, even our professional image. However, many people are neglecting to take care of their smile during the workday. The people you work with every day are very likely to notice your smile as one of the first impressions they have of you, and having bad breath can be bad for business! Did you know that most office workers are eating twice or more a day at the workplace, while just a few are brushing or flossing every day at work? All of the extra meals, snacks and sugary beverages on the job can cause an increase bacteria and plaque. This can increase the likelihood of tooth decay and gum disease. Plaque and food build up needs to be removed periodically throughout the day, especially at times when we are consuming more food and beverages, like when we are at work. If plaque is not removed efficiently or periodically enough then it can build up and harden into tartar leading to gum irritation, gum disease, tooth detachment and ultimately, tooth loss. 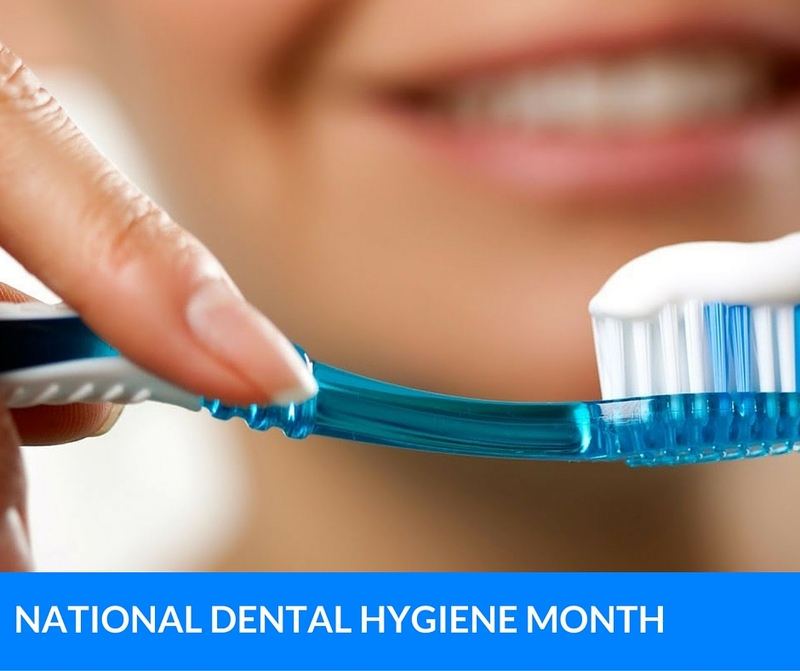 Regular dental hygiene visits can help keep you on track. Visiting your hygienist every 3, 4 or 6 months as needed keeps your smile and teeth strong and healthy, catching things early. Another way to stay ahead of the plaque and bacteria build up on your teeth at work is by keeping an extra toothbrush, mouthwash and floss at the office. Keeping them in a handy easy to get to location will help make it easier to remember to brush and floss during the work day. And just think you may inspire one of your coworkers to do the same!